Planning a wedding? 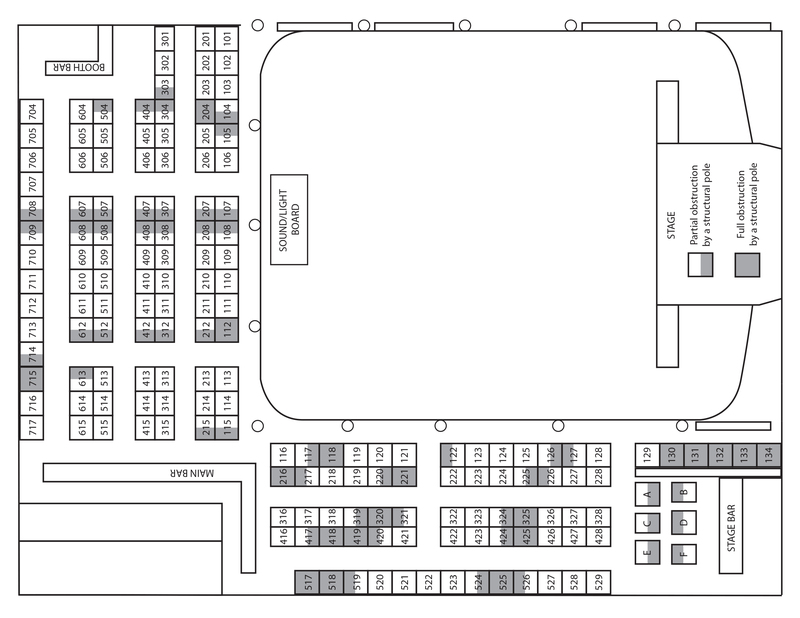 Our sample seating layout can be found here. Some of these plans may include guests sitting in our booths. We suggest a maximum of 4 people in our large booths (100-134, 517-529, 605-615, 704-717) and 2 people in the our small booths. The majority of our event's tickets are general admission, standing only and follow the seating chart below. Booths are an additional upgrade charge which differs from event to event. We do have a select few shows that involve tables and/or chairs on the floor. Please check the event you are interested in for more information.